Could methane bubbles sink ships? This lobe of orange gas hydrate lies exposed on the sea floor of the Gulf of Mexico. 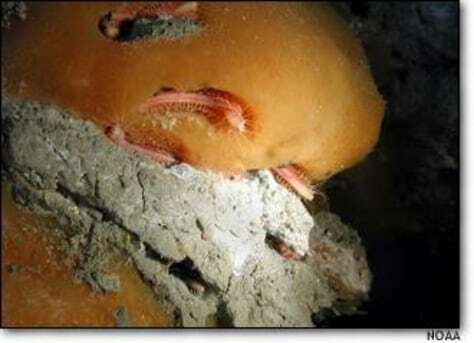 It provides a home for a species of marine worm that was discovered in 1997.